This post concludes a four part series I’ve written this week about the search for The Holy Grail of the new and future healthcare market … integrated delivery systems (IDSs) such as ours lowering the cost of a unit of care, such as an office visit, rather than relying upon relatively lower hospital and pharmacy costs to subsidize our relatively higher office visit costs. Certainly our patients have benefited from those higher office costs in the past (more time with the doc, more preventive care, more care coordination), but payors have said they won’t pay extra for those benefits in the future, largely because they believe those desirable attributes should be “included” in the base price of the office visit / unit of care. They have a point … you and I don’t pay extra for our water to be clean, or our groceries to be fresh, or clothes to last more than one season; whatever we pay, we expect it to cover all basic attributes of the good or service. Good healthcare is now considered a basic attribute by payors, whether they be individuals, municipalities or corporations. #1 Better Before Cheaper – “compete on market differentiators other than price”. Great brand, an exciting style, or excellent functionality, durability or convenience are business strategies superior to offering a minimally acceptable standard, trying to attract customers solely with lower price. In the past, our one-stop-shopping convenience has been easier for our members to see and understand than our eight-years-running highest quality outcomes in Georgia. And companies and individuals in Georgia naïve to us have more often labeled us “less expensive” rather than “superior quality and convenience”. The “me-too competitors” in the Atlanta area are attempting to blur our hard-won differentiation on quality and service. 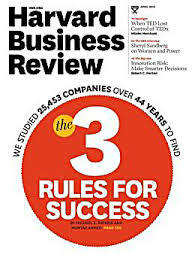 So, getting our office costs from 250% of market to 100% of market, while improving the recognition of our distinctly higher quality and service, should satisfy Rule #1 – outstanding business performance is more often created by greater value than lower price. #2 Revenue Before Cost – “prioritize increasing revenue before reducing costs”. In our industry, this rule was translated in the past as “its more important to grow profitable membership than reduce medical costs”. But in the new economics of US healthcare, the amount of revenue per member is becoming fixed, whether because of sequestration, defined-contributions from companies, or transparent pricing in the Health Insurance Exchange (HIX). Discretionary medical care, such as cosmetic surgery, will of course remain in the new healthcare world, but accounts for only 0.4% of the overall healthcare market (CNN, March 2010); and anyway, that’s not our mission. So Rule #2 is satisfied by default … as revenue is now fixed (more or less), the only strategy that will lead to higher margins is that which lowers costs – eliminating waste in the system.